As it is still just Pisces time as I write – rounding up the astrological year – I had planned to tackle the topic of our daily addictions. This was also due to the fact that I will be giving a webinar for astrologers in May on the subject and have started preparations for that. However, as often happens with my blog, events have overtaken my best-laid plans – particularly in Christchurch, as that is my home town. 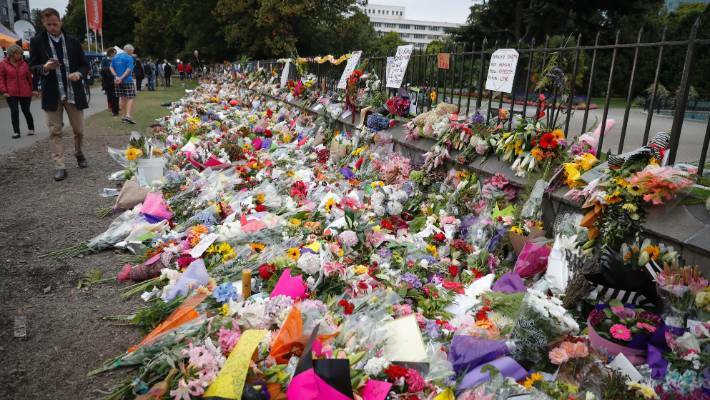 The terror attack, and how New Zealand is handling it, has drawn world-wide attention, and rightly so. However, it dawned on me that our daily addictive habits are part of the problem, so I want to address two of them here. I have divided them up astrologically. Neptune, associated with Pisces, is the planet that has a role to play in a lack of borders and boundaries, and it is therefore the planet I associate with addictions. We all have Neptune in our horoscopes and so we all have addictive tendencies to a greater or lesser extent. I wrote on the possible addictions of each generation back in 2011, looking at Neptune in a particular sign. In this post I want to make it more personal. When Neptune makes an astrological aspect to a planet, my theory is that it makes us susceptible to a particular type of addiction. The two I discuss here are Neptune with the Sun, and Neptune with Mercury. Behind every addiction is a longing, however our past has convinced us that that particular yearning can never be filled. When the Sun is involved, we long to be important, to be someone, to be seen as a leader. It depends, of course, on your upbringing as to how this aspect manifests. When we are aware of this and do our inner work, this aspect can be used to great effect. Some background issues are, to name a few, a missing father (the Sun is associated with fathers), an alcoholic or otherwise unavailable father, a father who makes you feel guilty and even a religious father who can be there for the congregation but sometimes not for you, his own child. This can lead to a lack of self identity, or idealising a father, which sets us up for disappointment. We need good role models. 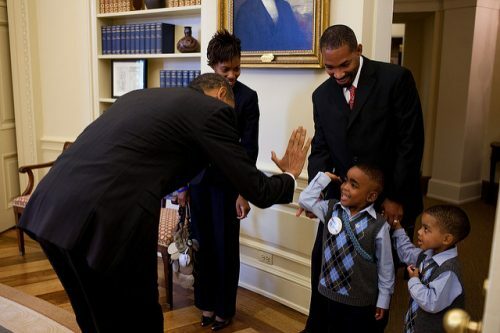 Barack Obama has great empathy with kids, probably because as a Leo he’s a big kid himself. Official White House photo by Pete Souza. Obama has this aspect in his horoscope. His father was indeed missing – a subject he wrote about in a book with a very Piscean title – Dreams of my Father. Clearly to write such a book, he must have looked inward to see how a missing father had affected him. Without knowing Obama personally, it is impossible to know how he feels about his own identity, but it is clear that he put this aspect to good use. His ability to feel for others and to empathise with an audience is part of this, as is his clear compassion in some situations and his wish to help victims and the poor with medical insurance schemes. The idealisation that this aspect often brings, means that hope can be projected onto the person with this aspect. Obama certainly suffered from this, leading to some disappointment with his presidency. The world today has almost an epidemic of missing fathers. Single mothers struggle daily without the input of a strong and positive father role. For boys and young men that is particularly difficult and this has led to many young men being confused about who they are. They yearn to be someone. They long to be seen and respected. One way to do this is to seek notoriety, especially for negative ‘macho’ deeds. Many gangs require a deed of this nature before allowing admittance for members. I am proud of the way my homeland’s Prime Minister is handling the terrible terror attacks in New Zealand. Jacinda Ardern truly understands this problem. She has shown this in her statement: “He will, when I speak, be nameless.” She is not going to feed the perpetrator’s need for notoriety, which he clearly sought. What if I don’t know what’s going on? The second type of addiction is one I associate with a Mercury and Neptune aspect. Mercury rules communication and information. Mobile phone addiction has now been recognised as a serious, defined addiction. You only need to look at everyone in a metro carriage, as I did last week, to see how many people might be bordering on addiction. I was the only one in the whole carriage who was looking up. So what is the yearning? 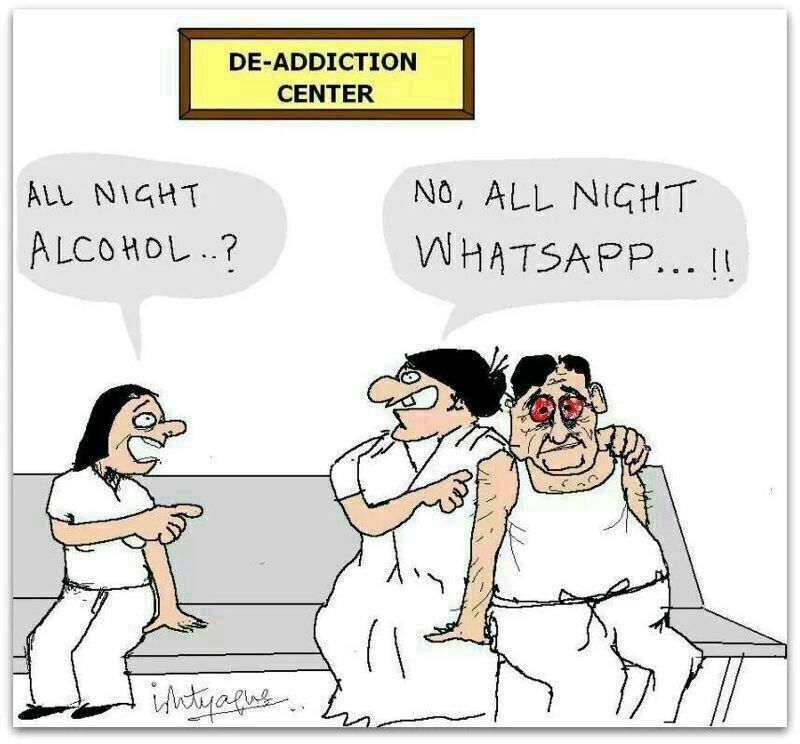 Behind this daily addiction, which includes not only phones but all social media, which is what most people use their phones for, is a need to communicate. A need to know gossip. A need for information. However, more deeply, I think it is a longing to connect and be heard. This aspect can result in using lies and deception, as we try to control what others think of us. This problem can stem from having no siblings (associated with Mercury), so there is no-one in our family who isn’t an ‘authority’ figure. We learn how to communicate with parents but not with someone of our own age, and this can make it difficult to relate to our peers. Another reason for not being heard is sometimes having a sibling who needs attention because of being delicate, sick, disabled or addicted. Because we are seen as being OK, less communication and attention is needed. Through no fault of our own we tend to create our own world, and the result of this can be giving up trying to communicate, or talking all the time in an attempt to say our piece. I see this all the time on social media. It is a yearning for contact, however there is a belief that real contact is unreachable, but we are addicted to trying again and again. If we see what we are doing and understand where it comes from, we then have a chance to use this aspect positively, resulting in being very intuitive, very creative in writing or in the development of concepts – to name but a few. Both Trump and Kavanaugh, who, after much controversy, is now an Associate Justice of the Supreme court in the US, have this aspect in their horoscopes. Trump’s excessive tweeting and lying are symptoms of this and Trump did indeed have a brother who had addiction issues and took his own life. This leads me to think that a lot of Kavanaugh’s testimony before his appointment could have been lies. However Trump can clearly work a room. He has an instinct for getting a crowd on his wavelength – a skill I associate with this aspect. Do you spread items on social media that give others notoriety? Are you rewarding haters? Why? The myth of Ceres would suggest that if we want to get what we want from perpetrators, we need to negotiate with our enemies by withdrawing something they need. Men who are involved in mass shootings, such as in Christchurch and in Norway (who was mentioned in the Christchurch attacker’s manifesto) want attention. Can we withdraw that? Are you constantly putting your oar in on others’ posts in an attempt to show what you know and to be heard? Or are you genuinely involved in conversation? Trump is a classic example of this. Can you ignore others’ comments? Not reacting to an inflammatory comment is really annoying to the person making it! You are disengaging, and this is their deepest fear. Are you constantly checking your messages? Why? I am so proud of how my homeland is handling this terribly sad event. My heart goes out to everyone affected, which is actually all of us. New Zealand is the first country to see the light each day and has often led the way for social change – being the first country to give women the vote is a case in point. New Zealand is a Libra country, beautiful, fair, and one that promotes discussion and living and working together in harmony. I hope other countries will take note of Jacinda’s leadership. She has got gun laws changed, hugged victims while wearing a head scarf to show her respect for the Muslim community, and showed true Piscean compassion. I hope we can all take a leaf out of her big warm Leo heart book. Jacinda Ardern at Kilburnie mosque in Wellington. Photo from several sites – can’t find the photographer to give credit. An interesting article on phone addiction by Oscar Schwartz. A piece written and read by one of my favourite NZ writers, Witi Ihimaera. A great sadness has descended. 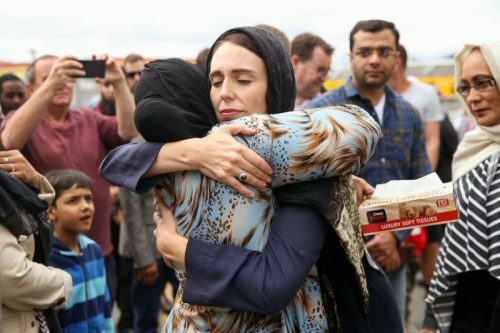 “They are us.” Jacinda Ardern in a speech about the terrorist attack in Christchurch mosques. Interesting, per usual. I too had an absent father and although not an addiction, for many years I was yearning for him. Separated at 6 and seeing him again at 18 only reinforced the knowledge that I was not wanted. He also was an alcoholic, impacting my life in many ways for many years. Fortunately we can move beyond the energetic imprints of the planets and the following life events. Healing myself lets me know that I can help others heal regardless of difficulties life and the planets present. Deeply appreciate you Faye. You are one of the few astrologers with wisdom, insight, heart and knowledge. Always appreciate the understanding your words bring. Thanks for your comments Trisha. I’m not sure it’s the planets that have an imprint – I think they are just part of the same whole as we all are. But they are hugely helpful to describe and clarify our blocks, beliefs and traumas. We need your (or others) type of deep work to help us really heal. Following and assisting on your Inner Child training gave me a great deal of insight into planetary archetypes and their ways of working both positively and negatively. My term astreopathy – homeopathy with planets:) shows how like cures like using planetary archetypes. – you can fix a Saturn problem with good Saturn etc. The idea crystallised for me during your training. Gratitude for that!